Carlos Serantes is President of Newlink Spain & Globally, the lifestyle division of Newlink. 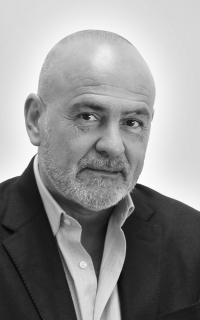 Carlos, the founder of Globally, has more than 40 years of experience in Spain’s public relations industry, a track record that makes him one of the most respected professionals in that sector. Since the outset of his career, he has led numerous projects in the entertainment world and positioned fashion and consumer brands in the lifestyle area. His experience has included conceptualizing and participating in some of the most important projects in Europe’s marketing and public relations sector, bringing his cutting-edge vision to leading platforms such as Mercedes-Benz Fashion Week Madrid, Rock in Rio, ARCO (contemporary art fair), and the Formula 1 prize gala. Carlos is one of the leading lifestyle communications consultants in Spain, and has worked for companies such as Prada, Loewe, Jean-Paul Gaultier, Patek Phillippe, IWC, Johnnie Walker, Ciroc, Real Federación Española de Fútbol, Cepsa, L’Oréal Paris, Estée Lauder, Lexus, Porsche, and Nobu Hotels.